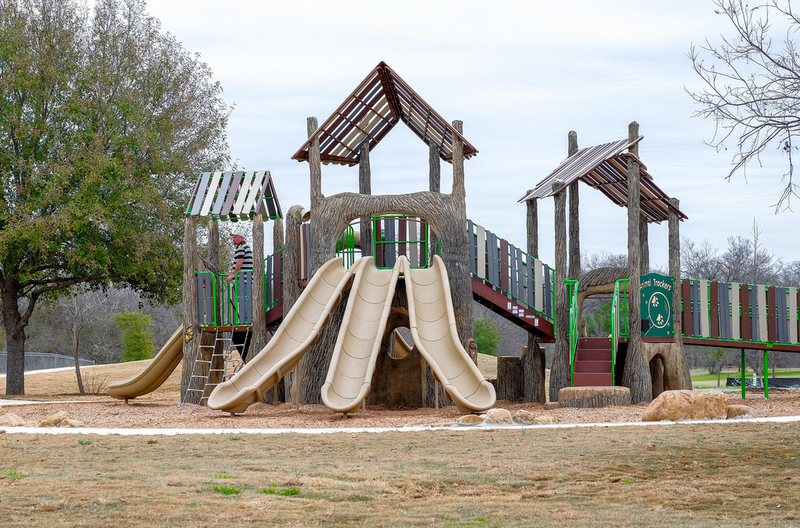 During this closure, access to the trails, playscape, pool, sports fields, and other open-space amenities will remain available. 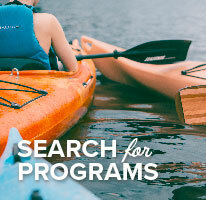 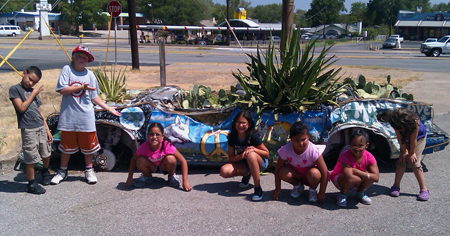 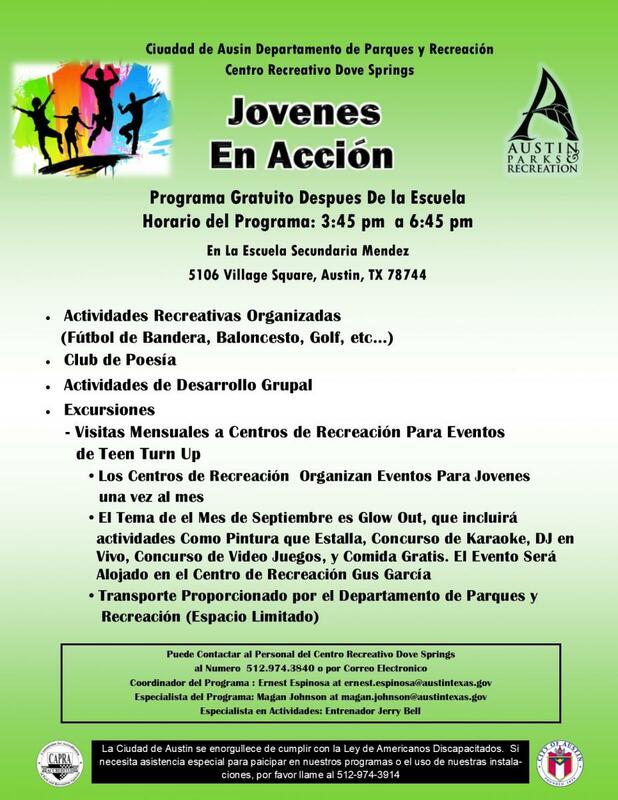 Senior Programs will meet at the South Austin Neighborhood Center, located on Durwood Street. 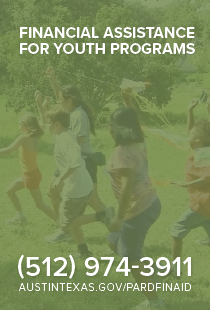 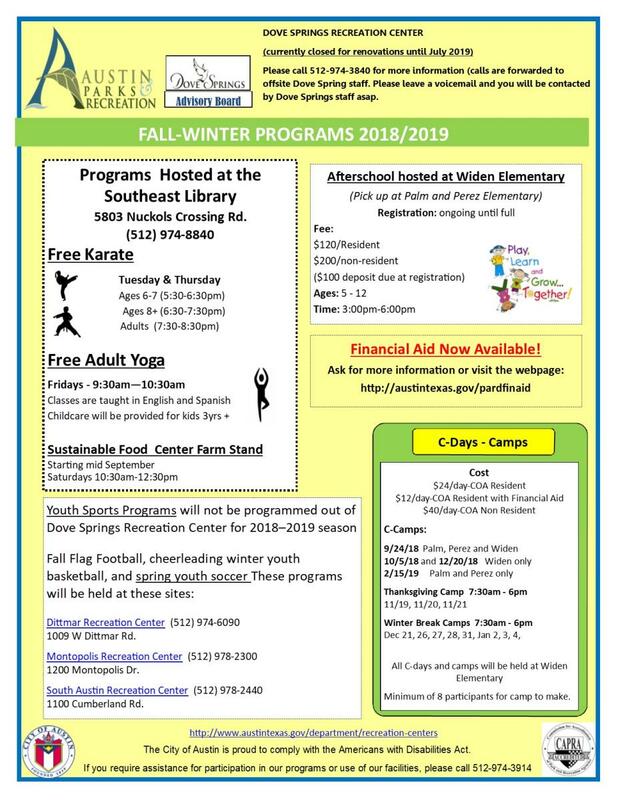 Dittmar Recreation Center (512) 974-6090 – 1009 W Dittmar Rd. 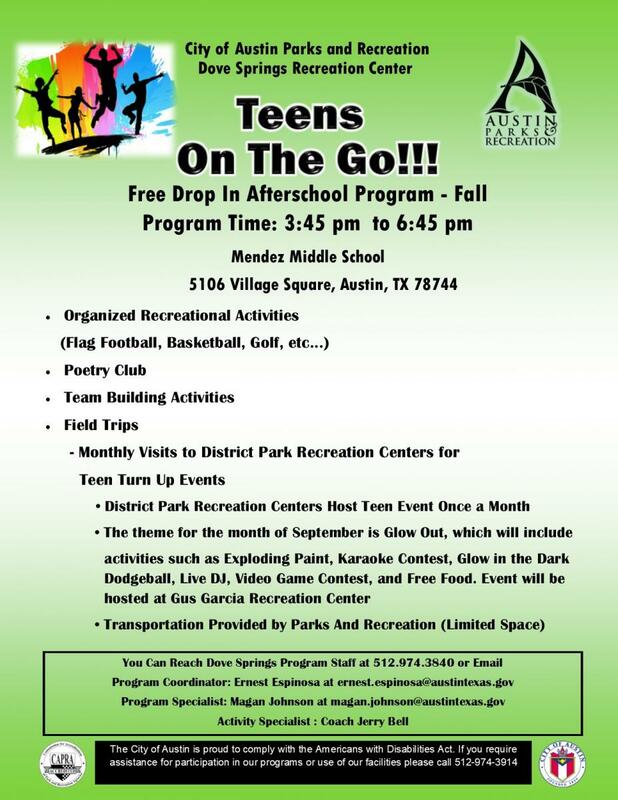 Montopolis Recreation Center (512) 978-2300 – 1200 Montopolis Dr.
South Austin Recreation Center (512) 978-2440 - 1100 Cumberland Rd. 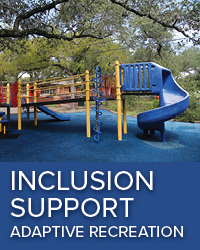 The Dove Springs Recreation Center opened its doors on March 28, 1998 to provide citizens of the Dove Springs community recreational and educational resources.